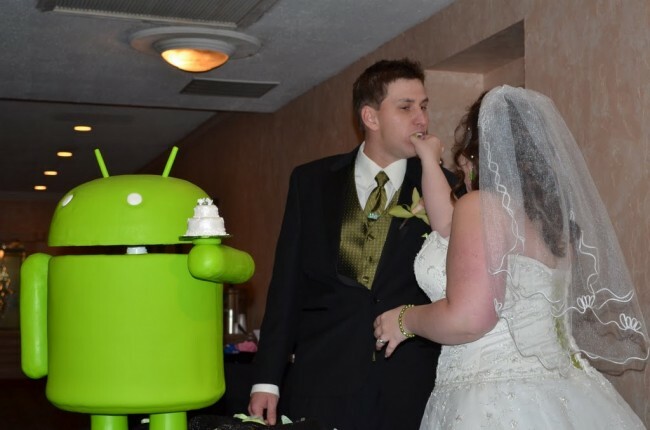 You will love it once you done with reading, you often have seen people who are crazy about one or many things in life, some are crazy for something, and some for some others, but what if two people are that much crazy for Google’s Android platform that one can hardly even imagine. 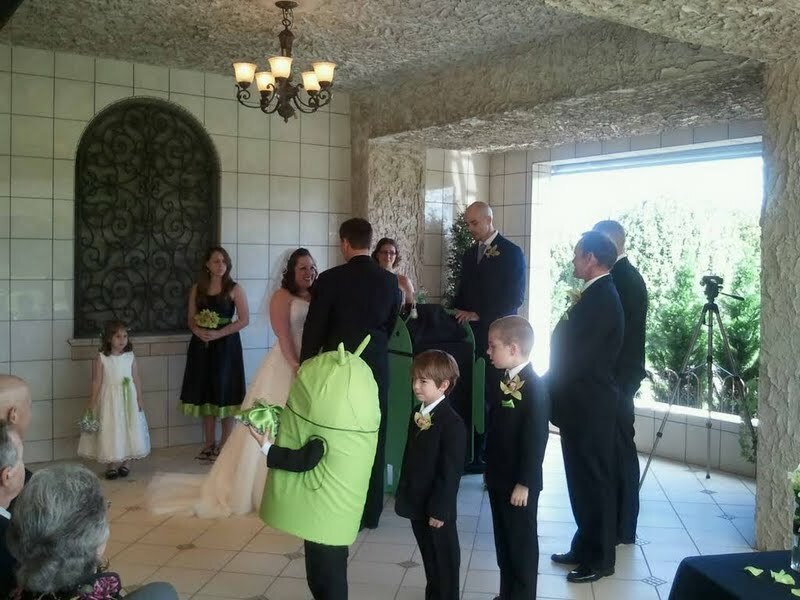 A wedding couple had recently exchanged the vows via their Android devices and moreover, they even had a great giant green Android cake. 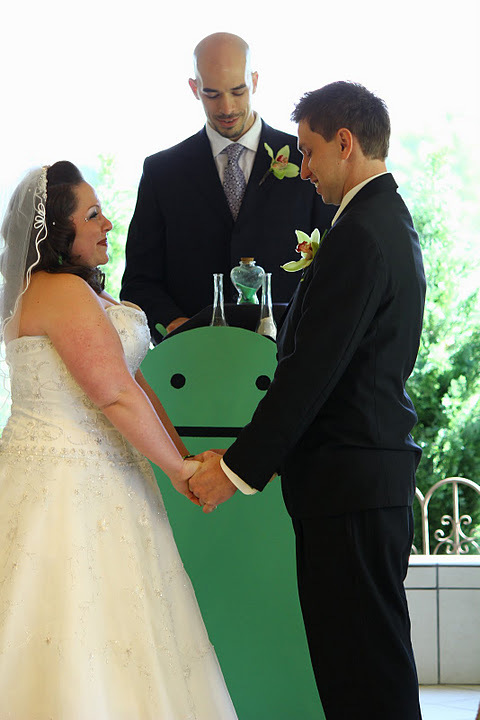 This is not just the end; they have even the Android ring bearer which was centered on an Android podium. I am sure, you love their craziness, but furthermore, you would be excited to know that they are going to attend Google’s I/O event to attend the event. 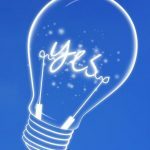 I love it and sure you too do. 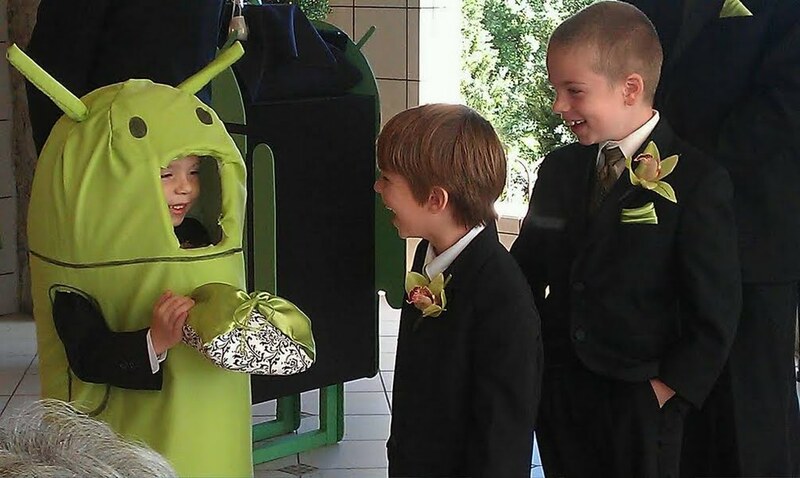 To catch all live actions at Google’s I/O 2012 event, click here.